The country that has given the world the “zero,” that has harbored great mathematicians and scientists of their times, that has created a rage in the world through its Ayurveda and Yoga – India – has another feather in her cap. The country harbors the worlds top luxury train. When it comes to luxury and comfort, India cannot be left behind because the country was so rich once that it was known as the “Golden Bird.” Even today, you can find millionaires and billionaires residing in the country. India’s richness is not just in terms of money. The country is rich in its natural landscapes, hospitality, cuisines, culture, folklore, dressing sense, and, no doubt, her Gods and Goddesses. You can find a variety of festivals and celebrations related to Gods and Goddesses. This is hard to find anywhere in the world. Each state of India features a difference in eating and clothing habits, language, culture, music and dance, and cuisine. Lifestyles are different. Even the way of sipping tea is different. Visit a historical city of Gujarat and watch how locals have their tea and watch the same in Goa. Both styles are different! Such diversity creates fascination. It is this variety that attracts tourists from across the world. India is vibrant – full of colors and charisma. Add to this are its luxury trains. They have made the country proud, especially the Maharajas’ Express, which is voted as the worlds best train. The train was started in March 2010 by the Indian Railways Catering and Tourism Corporation (IRCTC). The train has been showered with awards galore. They are from various prestigious travel magazines, travel shows, and more. 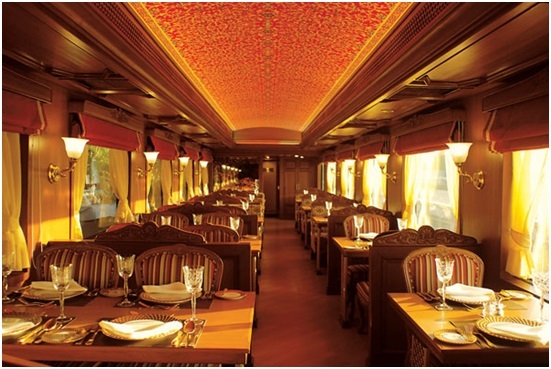 The train has won awards in the category of luxury, hospitality, and more. This boils down to one thing: it is worth traveling in this train once. You will be investing in years of beautiful memories and feel-good factor. They are: Gems of India, Heritage of India, Treasures of India, Indian Panorama, and Indian Maharaja. The train chugs across royal cities of historical significance like Delhi, Jaipur, Agra, Jodhpur, Udaipur, and more. It visits thrilling wildlife national parks, interesting caves like the Ajanta that showcase India’s intriguing side, the “nawabi” city of Lucknow, and more. Tourists get a chance to set foot on the holiest land of India – Varanasi. This is a place where even an atheist can sense God and how hard he or she may try cannot deny a Godly presence. Most of the North Indian tours begin and end in Delhi, while some of them end in Mumbai. The worlds top luxury train, Maharajas’ Express, has started its regular South Indian tours from September 2017. They are: Southern Sojourn and Southern Jewels. The train chugs across fascinating terrains of Goa, Hampi, Cochin, Mysore, Chettinad, Mahabalipuram, Kumarakom, Thanjavur, Trivandrum, and more. The tours start either from Mumbai, or from Trivandrum. Is your inner voice nudging you to book a space on the Maharaja train? Well, it is good to listen to inner voices. They symbolize a memorable event about to take place in your life.